The legalization of marijuana In Jamaica is causing cultural realignments and social adjustments. Now it has been proven scientifically that marijuana has legitimate medical applications. This research have Jamaicans as a whole reconsidering their thoughts about ganja. We have always known some of its medicinal benefits but for this to be recognized on an international level is the main cause for these adjustments. Marijuana and Jamaica always seem to come to people's mind whenever they hear Jamaica reggae music and talk of Bob Marley. Know that this plant has wreck so many people lives with millions losing their liberty and their lives because of this substance that is less harmful than alcohol. What accounted for this major change of views is the expansion of its medicinal uses by word of mouth. Marijuana was introduced into Jamaica by indentured farm laborers, but has since become widely used through all classes of society and in all age groups. Know that Jamaicans have used marijuana medically for generations to treat coughs and pain. It has been part of our culture for generations in treating many ailments. Valuable for inhibiting nausea in terminal cancer and alopecia individuals. Help in the relief of bronchial asthma. In the treatment of glaucoma - Scientists from the University of the West Indies have patented an eye drop "Cannasol" developed from ganja. Produces hypoglycemia and therefore could be used in the treatment of diabetes. Click on this link to write your own review about the legalization of marijuana in Jamaica. View others written review below. But what I think of most is the generations of black men in prison because they were caught smoking this substance. Ganja, another name for marijuana, is part of the Rastafarian sacramental rites. Used primarily by Rastas at their prayer meetings, when the communal pipe or chalice is filled with the Jamaica's finest marijuana leaves, blessed and passed around the group. But despite the view that all or most Jamaicans approve and smoke ganja, in fact only a very small minority uses this drug and most do not approve. Once upon a time tourist as well as Jamaicans were just as eligible for prosecution if caught. Jamaica is known to grow the best weed in the world so welcome to the birth of an economic awakening with unintended consequences, unforeseen problems and marijuana millionaires. Can you imagine the effect it will have on the island's humanity, its economic and of course to our tourist industry? Rastafarian's use of this herb is an essential part of their religion and meditation practices. Smoking marijuana is found to be beneficial in some medical issues. 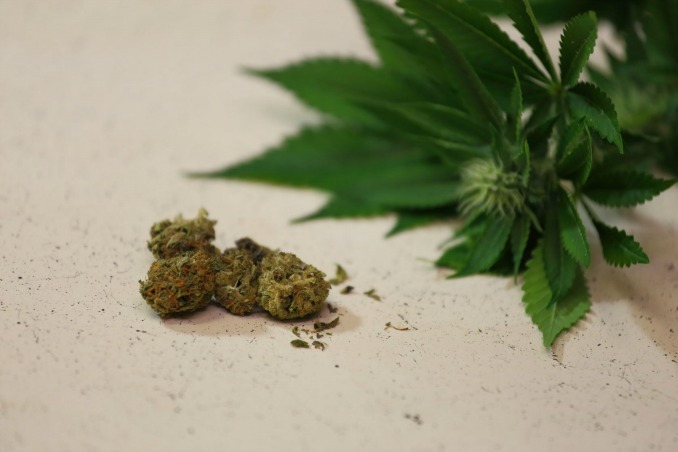 But, despite the use of marijuana as medicinal, to not be arrested if you are a tourist you will need to apply for permits authorizing you to legally buy small amounts of marijuana in Jamaica. Another new to this island of paradise is that cannabis connoisseurs celebrated the legalization of marijuana by having a smoking festival. Please note that Jamaica has not soften its stance on transnational drug trafficking or on the cultivation of illegal plots. Of course this herb is beneficial to some people's health, but to just smoke marijuana to get high can be harmful to your body and also on young developing brains. The decision was reached recently to partially decriminalize small amounts of pot and even allow Rastafarians to not face criminal charges for using the smoking of ganja for religious practices and also for medical purposes. The new rule states you cannot be criminally arrested for the possession of no more than 2 ounces (57 grams) of marijuana, or ganga, or pot. You might still be charged as a petty offense that would only result in a fine and nothing else. Of course it was stressed that you can still get into trouble if you are using it for recreational purposes, so do enjoy your marijuana and Jamaica reggae music vacation ...be mellow. Our Tourism Officials try not to acknowledge that many of our visitors come to Jamaica in search of some of the finest marijuana in the world. Ganja, as it is called here, is part of our culture, is smoked more openly and is available more freely than in any other of the Caribbean islands. But, be aware, Jamaica's ganja, I am told, packs a very strong punch. Stronger than any other of its kind you may have experienced before. Jamaicans who have been smoking this herb from their teens can cope with the strong punch of this herb. But you our visitors may not be able to handle it well. Also bear in mind that the Jamaicans who smoke marijuana are in the minority. Most of us neither smoke or even approve of it. What do you think of the legalization of marijuana in Jamaica? Do you have a different view of the island and its people? Give us your feedback, it might be published here on the web.